*I am cooking up a blogcon for this. Sana makapunta ang aking blogger friends. This April 2014, Travel Factor brings you the biggest summer destination event of the season – the SUMMER SIREN FESTIVAL! From April 4 to 6, 2014, revel in the pristine BEACH, PLAY in the unique landscape and PARTY the night away with electrifying bands and DJs. 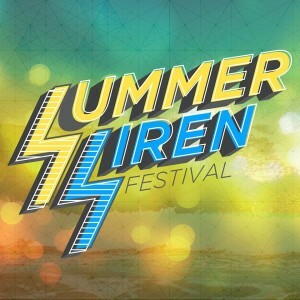 SUMMER SIREN is designed to be an unforgettably epic destination festival featuring exciting activities, enthralling art, and electrifying music in an amazing (yet accessible) sanctuary. Follow us on Facebook, or through #SummerSiren to get the latest scoop on festival updates as we reveal our exciting destination, line-up, packages and other details that’ll surely make this summer your best yet. Celebrate art and music. Dance on the beach, dig your toes deep into the sand, and reach for the stars. This APRIL 2014, heed the call. This is your best summmer yet. This entry was posted in Road Trip, Swoosh News, Tip lang and tagged heed the call, summer siren 2014, summer siren festival, Travel Factor. Bookmark the permalink.